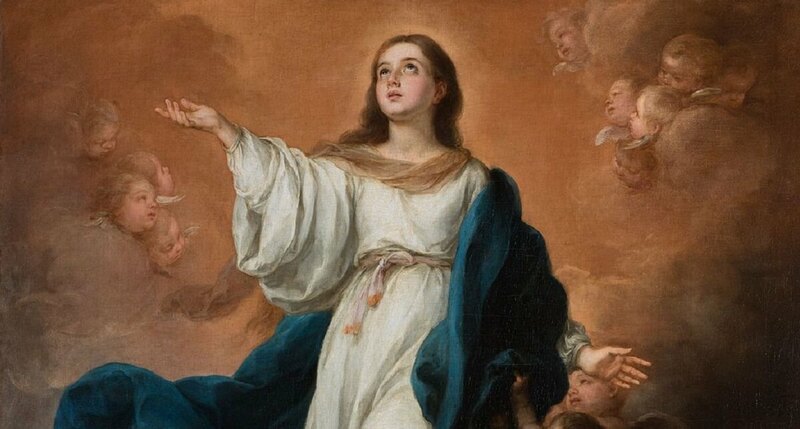 Q.Next month we have a holy day of obligation for the Assumption of the Blessed Virgin Mary. Why do we have these days? And why do we have so many of them? A. Why so many you ask? Officially there are ten holy days of obligation in our Church: Christmas, Epiphany, Ascension, Corpus Christi, Holy Mary Mother of God, Immaculate Conception, Assumption, St. Joseph, Saints Peter & Paul, and All Saints Day. So if you lived in Vatican City you’d celebrate all of them by attending Mass and getting the day off work! However, it has been left up to each national conference of Catholic bishops throughout the world to determine how many of these holy days are also to be observed as “a day obligation.” Many countries are therefore different regarding which of these holy days are also days of obligation. For example, Canada only has made only two of these holy days “days of obligation.” And believe it or not Hong Kong has only made Christmas a day of obligation! In the U.S. there’re are eight (kinda): Christmas, Epiphany, Ascension, Corpus Christi, Holy Mary Mother of God January 1), Immaculate Conception, Assumption and All Saints Day. I say “kinda” because most dioceses in the United States have moved Epiphany, Ascension and Corpus Christi to Sunday’s which are already holy days of obligation. And when the holy days of Mother of God, Assumption and All Saints Day falls on a Saturday or Monday they are still celebrated as holy days but there is not an “obligation” to attend Mass that day. And When the holy day of the Immaculate Conception falls on a Sunday in Advent it is celebrated the following Monday and, again, the “obligation” aspect is removed. With those details explained let me address the bigger picture of what a holy day is all about. First of all, we have to start with the understanding that it is both a duty and privilege to worship God. As Christians we celebrate the day of the Resurrection as the obligatory day of worship and rest. To call it an obligation may sound negative. Truthfully, we really should see it as a great privilege and sacred duty to offer our worship to God every Sunday. We need to worship Him and we need the Eucharist every week. So it’s for our own good we do this. What about the other holy days? There are many aspects of our faith that are absolutely central. In fact, they are so central that the Church has decided to make them high solemnities. For example, Christmas is the day we celebrate the birth of God into our world. What an important celebration! It is so important that our Church has set forth the practice of requiring (as a sacred duty) that we all rest that day and worship God by attending Mass. The other holy days of obligation are the same. Even though every country is different as to which day it is required to rest and attend Mass it doesn’t change the fact that all of these days are celebrations of some of the most central mysteries of our faith. And as for your question, “why so many of them?” I’d simply say that we are so abundantly blessed by God that setting aside these days for worship and to focus upon these specific aspects of our faith should be something we love to do. So look at it as a privilege. What an honor it is to be able to celebrate these great days with all other Catholics throughout the world!